We have a lot of fun in all our choirs. Making music together is an expression of our shared worship, and just a great way to meet and get to know others in The Briarcliff Congregational Church community. We laugh together while we learn to sing together. We have one of the largest adult choirs in the area with over 20 members, well balanced between men and women. The choir sings a variety of anthems ranging from traditional choral music, jazz, spirituals, and contemporary style music. 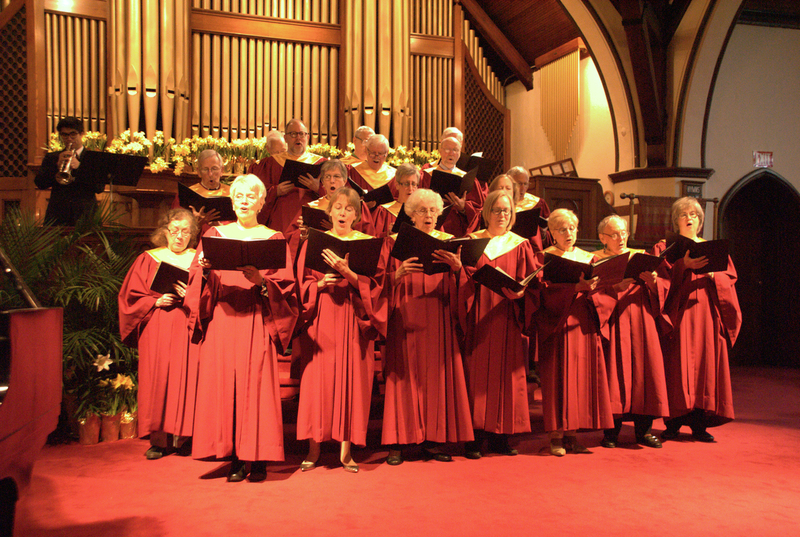 The adult choir practices Thursday evenings and on Sunday before services. New singers are always welcome!